Apologies for the lack of posts over the last few days, I've just been celebrating passing my Law Society exams. Now that I have sufficiently celebrated, it's back to business. So I have been bursting to get my hands on some Wet n Wild goodies for the longest time now, and last weekend I finally bit the bullet and ordered some bits from Nonpareil Boutique. I read somewhere recently that the Color Icon 6 Colour Palettes were being discontinued so I ordered all 4 (in for a penny, in for a pound right!) and first impressions are all good. I don't love the packaging but it does the job I guess, and it's sufficiently sturdy to withstand the many knocks and blows I will subject them too (not intentionally but I have butter fingers!). I swatched these on my hand when I got them and I was just so impressed by the silkiness and pigmentation. I'll post up proper swatches and reviews when I have had the chance to use these properly. I also picked up some Wet n Wild lipsticks too. I got one from the Mega Last Lip Color line in 'Just Peachy' and it's so creamy and smooth on the lips. I got three more from the Silk Finish line- I wasn't too sure about frosty colours because generally I avoid frosty lipsticks, but I saw some swatches of these online and I said I'd give them a bash as I was putting in the order today. 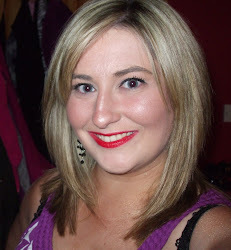 I've tried them on my lips aswell- in fact, I have been wearing Retro Pink all day today and I am loving it. Again, I'll review once I have used these enough to form an honest and informed opinion.